Like, Structure of Intellect, we at Unlocking Learning Potential see the value in “patterning.” While we have recently added SOI to our toolbox, we have long recognized the work of Glenn Doman and Carl Delacato and use it with our clients. Humans, unlike almost all other creatures, are slow in developing the capacity to learn appropriate to their environs. Most creatures come into life pre-wired with almost all they need to survive and thrive — humans have a greater need, and a greater capacity to learn, but they are not completely pre-wired — they need to learn how to learn. The first stage is so elementary that it was not even identified until the last half-century. It is called “patterning”. It occurs when babies first start to explore their environment by crawling and otherwise controlling their bodies in exploring the outside world. This “motor learning” seems so natural, that it is commonly not considered “learning”, but for whatever reason, some children miss developing important aspects of this development, so they are restricted in benefiting from the more advanced aspects of learning capacity. Following a Brain Training Assessment (BTA) our Learning Specialist designs an Individualized Neurodevelopmental Plan (INP) for a client. As an individualized plan, this INP works to UNLOCK the LEARNING POTENTIAL of our client. One size does not fit all! We teach parents to do these activities with their children daily and support this process with two 30-minute sessions a week via video conferencing. In third grade, I failed penmanship and arithmetic. Apparently the teacher told my mother that I had passed third grade by the skin of my teeth. Looking over my report cards reveals comments such as, “If Margaret would try she would get better grades.” In seventh grade at the DOD school in Madrid, Spain I was given the choice of moving to class D and get a “C” on my report card or stay in class C and get a “D”. Given my father’s value of high grades, I chose Class D. All of this was before 1975 when Special Education became a legislated part of the public school system. Since my perceptions of these memories indicate that I was trying, I likely would receive special education services if I were in school today. At church, during high school I was encouraged to memorize Scriptures to improve academics. So, I began to memorize long passages of Scripture, reciting them at church and at church camps. Also, during high school, my dad offered me $1.00 per “A” I earned on my report card. By the time I was a senior, I was on the High Honor Roll with all “A’s”. My first year of college was a challenge, getting a “D” at mid-term in Psychology. However, by my senior year, I was again able to get all “A’s”. I believe I was still probably working harder for those “A’s” than other students, but I was achieving better grades. Decades later, I want to review these lessons in light of what I have learned about how we learn. Yes, the old adage, “use it or lose it” applies here. When you exercise your brain it develops. Scientific Learning’s motto, “Fit Brains Work Better” reveals how this principle works. According to the neurodevelopmental approach, “Duration, Frequency, and Intensity” present three important ideas. Short, frequent, focused review of whatever is to be learned, locks into one’s brain. Today, I tell my students to put spelling words, vocabulary words, math facts or formulas, memory verses on cards. If they go through these cards between subjects, several times a day, they will learn it. Some may need to review longer to get the desired results, but they will learn. Do all of my students follow my advice? No, I am afraid that it is a hard sell, but I am not going to quit telling them to do it. While this works with anything, when one memorizes Scripture you get an added benefit: Psalm 119:11 Thy word have I hid in mine heart, that I might not sin against thee. As a teacher, I would always prefer that students have internal motivation to learn – “for the love of learning.” It would be great for students to be diligent in their studies in order to please God. We can continue to pray and trust God for this. It happens sometimes, but often external rewards are necessary. It may be something as simple as, “Great job!” or a high five or a sticker on a chart. Twenty-first century students would normally not be motivated by $1.00 per “A” on a report card as I was in the 60s. While a monetary reward may not be the best, it certainly works on the job for adults. Dr. Daniel J. Levitin is uniquely suited to address the topic of the musical brain. His first career, record producer and professional musician, led into his becoming a research scientist. Levitin runs the Laboratory for Music Perception, Cognition, and Expertise at McGill University. Besides this book, he also has authored, This is Your Brain on Music. He classifies music into six songs: Friendship, Joy, Comfort, Knowledge, Religion and Love. Going through each of these types of songs, Levitin explains how the brain works. I found that part interesting, however, I easily tried of his couching all of this within the frame work of evolutionary fiction. If you have read other reviews I have written, you know that I learn much from individuals even though their presuppositions are evolutionary. Levitin illustrates each of his categories with the lyrics of different songs. First, Friendship, introduces us to the first kind of song. He explains how the rhythm of songs like “Smokin’ in the boys’ room” binds a group together. Further, he tells us of a small group of hunter-gatherers in the Brazilian Amazon, the Mekranoti. These people sing for hours a day, sometimes to warn of an attack by a rival tribe. Rowing crews and other work teams have used rhythmic songs to coordinate their task. Our emotions represent neurochemical reactions in our brains. Second, Joy represents Levitin’s second category of songs. Dr. Levitin and Rodney Crowell of the band, The Police exchanged ideas about how music began. Crowell believes that the first song was a caveman’s versions of “You Are My Sunshine.” Other “joy” songs include: “God Bless America,” Zip-A-Dee-Doo-Dah” and “Log Blues.” Our brain encourages us by providing rewards and punishments using certain neurotransmitters. Rewards include neurotransmitters like serotonin, and norepinephrine. Punishments include cortisol, activated by stress. Music of different kinds activates these neurotransmitters. Third, Comfort follows. When the author dropped out of college to join a rock band, he was looking for comfort. Six songs inspired him to become a musician: “Autobahn,” Beethoven’s Sixth Symphony, “Revolver,” “Through My Sails,” “The Great Gig in the Sky,” and “Night and Day.” His father gave him the book, The X Factor which explains how people become experts in their own fields. George Plimpton the author of The X Factor believes that people who eventually are successful have had more failures than those who are unsuccessful. Fourth, Knowledge. Levitin continues by explaining that he did not earn his B.A. until he was well into his thirties. Examples of this kind includes: “The A-B-C Song,“ “Patty Cake,” and jumping rope songs (“Down by the river..” and “Cinderella, dressed in yella…”). Levitan includes many other examples. 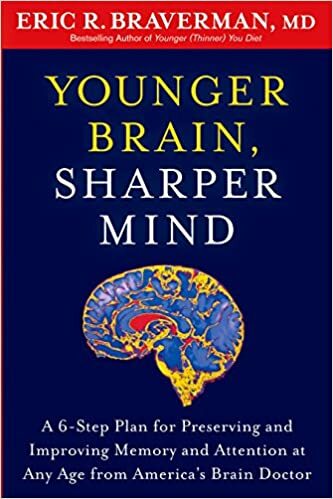 From a neurodevelopmental viewpoint, we recognize that content is learned well with music, however, the problem is that music is also needed to recall that information because it is stored in the subdominant, rather than dominant hemisphere of the brain. Retrieval requires the use of the subdominant. Fifth, Religion, reflects another unique feature of mankind. Different religions have their own songs. Levitin mentions Chinese music for the Chinese New Year, Jewish music for their celebrations and Christian songs like, Oh Happy Day” celebrating the day Jesus “washed away my sin.” Dr. Levitin believes that all religious ceremonies almost always include at least one of these ritualistic behavior: repetitive motor actions, bowing seven times, making the sign of the cross, folding and unfolding your hands in a certain way. As a believer in Christ, I belong to a church that practices the “regulative principle of worship” meaning that God has prescribed how we are to worship Him. What we include in our worship should be what the Bible teaches is to be part of worship. Most Christian churches practice the “normative principle of worship” which believes that if God has not prohibited a practice, it is appropriate. It behooves those who follow the “regulative principle” to frequently evaluate how we worship which I would think would eliminate or greatly reduce many or all of those features that Levitin cites. Like many of the books I have reviewed, much valuable information appeared in this one as well. However, I had to wade through much more that does not fit my worldview regarding the origin of God’s creation, specifically His special creation, man.